HO CHI MINH CITY, Vietnam—Opened in November 2016, the Capella Gallery Hall is an upscale convention center in downtown Ho Chi Minh City. Featuring striking modern architecture and gorgeous interior design, the multifunctional space hosts a wide variety of events, ranging from luxurious weddings and private parties to international business conferences and industry conventions. 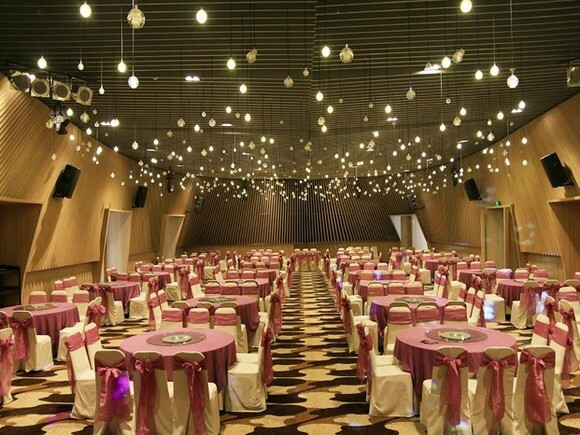 To ensure a world-class guest experience in each of its five large ballrooms and main lobby, the Capella Gallery Hall hired systems integrator Ba Sao Investment to implement a complete HARMAN AV solution consisting of JBL speakers, Soundcraft mixing consoles, a dbx speaker management system and a Martin lighting rig. “Since opening less than a year ago, we have quickly gained a reputation as one of the finest event spaces in the city, hosting very important conferences for local and international businesses alike,” said Quang Dat Vu, Technical Manager, Capella Gallery Hall. “In order to maintain a standard of excellence across all aspects of our events, I trust HARMAN products to deliver superior audio quality and reliable operation. In addition to the HARMAN audio equipment, the Capella Gallery Hall installed Martin RUSH lighting fixtures in the Capella Gallery Hall’s grand ballrooms to enhance their elegant beauty and provide an engaging visual experience for guests. The Martin RUSH Multibeam 2 is a versatile fixture, providing powerful mid-air effects with its ten individually controlled long-throw beams. With fifteen gobos and seven colors, the compact and energy-efficient Martin RUSH Wizard delivers a large variety of dance-floor looks. The Martin M-Touch enables easy DMX control of the Martin RUSH lighting fixtures, allowing the staff to easily design unique looks to suit each event’s needs.